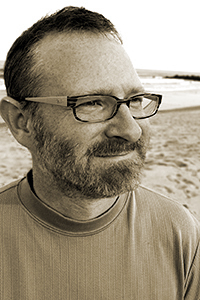 Michael Broek is the author of a chapbook, The Logic of Yoo (Beloit Poetry Journal, 2011), and his work has appeared or is forthcoming in The American Poetry Review, Fishouse, Literary Imagination, Pif, MiPOesias, Fourteen Hills, and the Sycamore Review. He has received a scholarship to the Bread Loaf Writers’ Conference and a Poetry Fellowship from the New Jersey State Arts Council. He is also the managing editor of the online poetry journal Mead: The Magazine of Literature & Libations and the founding editor and curator of the online journal of essays, Trans-Portal: The Hub of Trans-Formation Studies.